Calling all Wild Party Animals!! 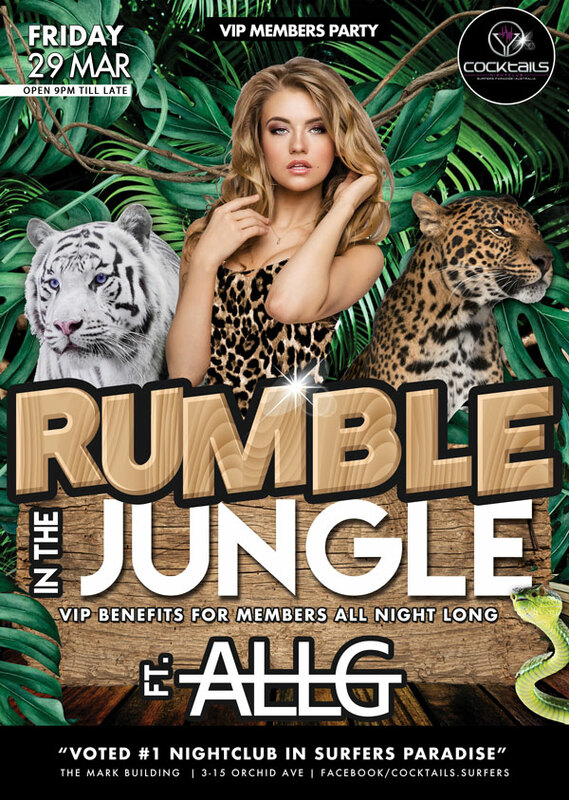 We are roaring with excitement for our March VIP Members Party featuring DJ ALLG on the decks! Be sure you don’t miss out on this event! 🐆FREE Entry for you and as many friends as you want! 🐆Best Dressed Prizes will be awarded! Throw on your Leopard Print heels or your Camo-print shirt, we are going Safari-Style on this one!